10-11 November Berlin turns into a stage for one of the most well-known Underground concerts Metal Attack Fest 2017. It will be held for the sixth time and now is already an integral part of the Berlin Metal scene. Cold beer, hammer bands, and mega mood – all this is waiting for the visitors of the Festival. What you need to do? Come to Berlin of course! 8 Bands from Dark to Death and from Heavy to Thrash are ready for the take off in the Slaughterhouse, Lehrter street 35. Right conditions for a hot atmosphere guarantee: AlkoholikA, Bloodland, Profane Sanctum, Agentpunch on Friday and Kamikaze Kings, AvatariA, Metall, Rebels + Rivals on Saturday. Berlin rocks this weekend and it will be something interesting for everyone! 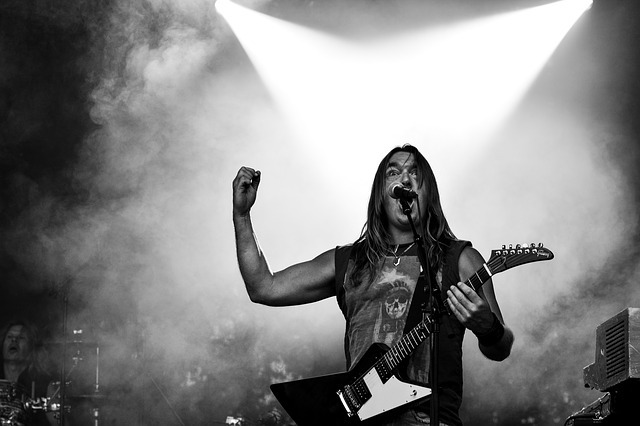 Metal is nowadays an international form of music, which draws a lot of fans to Berlin. If you are a real fan of Underground music, you can’t miss the Metal Attack Fest 2017. And if you are the experienced traveler, you can’t miss our hotel pension Classic. We are located on Wittenbergplatz in district Schöneberg; it is the centre of the capital. Here you will find single-, double-, triple- and family rooms. Hotel pension Classic is perfectly connected to the city transport network. In just 20 minutes by own vehicle or by public transport of the Berlin city you can reach the Slaughterhouse, where the Metal Attack Festival will be held. And all other attractions of the German capital are also not far from our hotel. Modern shopping centers and ancient monuments, museums and restaurants, as well as the most interesting events in Europe –come and see self! And our peaceful atmosphere you will specially appreciate after the Metal weekend or after a busy day in the capital. As well as our affordable prices!